What is my photographic style? i specialize in natural light lifestyle photography! The session will be relaxed, fun, and all about what makes your family unique. I believe the best moments are those that aren't asked for. The session will not be posed in any way! I do have various backdrops however I prefer to use the surroundings of the space in which we are working. This will create a much more inviting image as a natural moment will be captured. Throughout my years of shooting I have developed a great patience for all things and if time allows, I will always work with you to capture everything you hoped for. I am looking forward to working with you! The catagories listed below are most frequent for my studio. Your session can be held at an outdoor location, a special place to you, or the comfort of your own home. When booking a session with me you will receive a complimentary email filled with colors and patterns that photograph well, along with styling tips. Do not feel obligated to stick to any of the suggestions, they are just meant to guide you if you need it! I am all about bold rich colors & lots of texture. Staple colors such as black, grey & cream also photograph very well. I tell all my clients to steer away from any neon/extremely bright palettes as well as clothing with text or graphics on it as it will take away from the photograph. It is also most important for the clothing to fit you comfortably so you are able to move easily through out the shoot. Upon reading through your clothing/styling tips email, if you you have additional questions please call or email me. I am always very happy to help! What items should I bring to the shoot? If there is anything significant to your family you would like to have in the photos, bring it along and I will do my very best to incorporate your ideas. It may also be helpful to bring along anything you know your child responds well to and grabs there attention. For example, noise makers, rattles etc. If you are able to, it may not hurt to bring along a "treat" for the end of the session. I'm expecting, when should I schedule my maternity session? Maternity sessions are one of my favorite type of sessions to hold. They are so incredibly special and are always filled with lots of love and excitement! While I can always photograph you at whatever stage you are most comfortable, I suggest around 6-7 months as this is when most are showing and still comfortable. I just had a baby, when is the best time to capture photos? This is the most exciting as well as the busiest time, therefore everyones situation is different. I am willing to work with whatever feels right to your family. However, if you are up for photos right away I have seen amazing results in the first week of birth. This is when the baby is easiest to move into all those adorable little poses. Do you offer a Milestone series during my childs first year? Yes! As a photographer this is so much fun and special for me to be a part of. Not only do I love all of the relationships built with the familes, it is so neat to see the all the amazing progression of your little one thoughout there first year of growth. A milestone series consists of 4 sessions at whchever months you see most significant to you throughout the first year. Typically I see two patterns. Either, newborn, 6months, 9 months and a year OR 3 months, 6 months, 9 months and a year. It is up to you! What happens after our photo session? 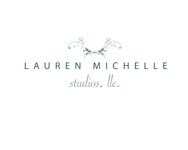 5 -7 days after your session you will receive an online gallery on www.laurenmichellestudios.com. You will be given a password secure to you and whomever you choose to share it with. This gallery will be live for 1 week after your session date in which packages can be purchased at this time. Can my family and friends order photos? Absolutely! Once you share the password with your family and friends, they can order through me directly by contacting me through phone or email. Are the photos in my gallery fully edited? Yes! This is the reason for the 5-7 day wait time. I ensure that every gallery is polished as if the photos were mine. A great amount of time and dedication goes into creating the best possible end result for you and your family. I accept all major forms of credit cards, Chase Quick Pay, PayPal, check or cash. Yes I do! When a client refers me, it is always appreciated more than you know. For every client referred you will receive free prints, session discounts etc. If you have additional questions, please don't hesitate to contact me! I hope to work with you and your family!